Chris is Lead Strategist for Netconcepts, working primarily upon development and support of their GravityStream product � a �near turn-key SEO application� which helps businesses with non-optimal, dynamic sites to become search engine optimized nearly overnight. Chris was previously Head of Technology & Development for Idearc (formerly a part of Verizon) SuperPages where he worked for over a decade. His projects there included research and development, local search, and design of numerous applications and interfaces including Map-Based Search, Campus Area Yellow Pages, weather forecasting systems, ecards, XML APIs, RSS feeds, mobile applications, and more. He was awarded a number of individual and team awards by the corporation, and his was cited for increasing the overall revenue of Superpages. 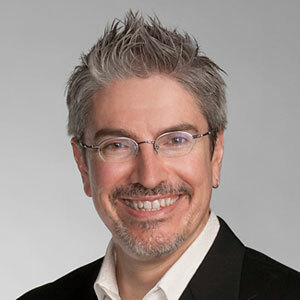 Chris was an early researcher in organic search engine optimization as far back as 1997, and his work was deployed to form the foundation of SEO initiatives for the Superpages sites. Chris was founder and Chair of the Idearc SEO Council, pulling together individuals from across the organization who worked on elements of natural search optimization. Chris also has a background in CAD, scientific illustration, and cartography from his previous work as Manager of Administration of Texas A&M University�s Cartographic Service Unit, where he assisted with portions of the university�s earliest website presence. Chris has five patents pending and his work has been published in a number of books, professional journals, and web sites. Chris currently contributes articles on technology and internet marketing for Search Engine Land, WebProNews, and Natural Search Blog.